No one wants to talk about divorce. It’s about as exciting as discussing payment plans or leasing agreements. They’re long, messy, boring, and involve all sorts of legality nonsense that no one wants to deal with. But let’s say you’re in a situation where you just really, really need a divorce lawyer — or at least someone who can seal the deal so both parties can get some closure? Where do you even start? Just Google it and wait for the ones who charge the most to come up first? This is the conundrum that Ben Greenheld had, the drummer for an up-and-coming rock band in Southern California. The life of a touring musician doesn’t exactly facilitate the separation process, especially when funds must be so carefully handled. This is when Michael Rena, the band’s lead singer, came to the rescue. Luckily, a referral from a friend solved Rena’s problem. This referral pointed to a lesser-known alternative to pricey lawyers: divorce mediation. Divorce mediation is one of the best-kept secrets in the industry of family law. Why? Because they don’t have the huge price tags of divorce lawyers that allow them widespread advertising. Think about how both of these men were referred to mediation — through word of mouth. 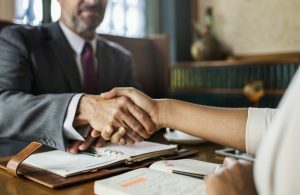 Not only is it more affordable, but a mediator can make the divorce process significantly shorter than a divorce lawyer could. Since neither Greenheld nor Rena had children, the typical process could last up to a year. However, when they used a mediator, it took a little over 90 days for everything to become finalized. But, if you do have kids and are going through a divorce, they have amazing support for that as well! “They certainly don’t rush you by any means,” Rena clarified. “They make sure it’s not one those “on-a-whim” or “power play” things. Just like a divorce lawyer, these guys really have seen everything. And they’re completely professional about all of it. 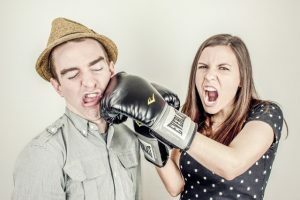 At the end of the day, most mediators have the same goal: to take something that is already unpleasant in nature, and to make the process as smooth as possible (while not setting fire to your savings account). Rena and Greenheld were shocked that more people weren’t aware of this resource, and I wanted to make sure the word got out. 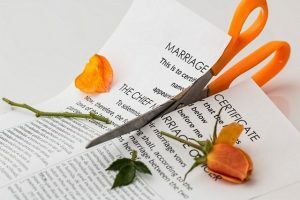 If you have been a reader of this blog for a while, you may remember my own divorce dealings which I wrote about here.